Mary Tudor has always been known as “Bloody Mary,” the name given to her by later Protestant writers who vilified her for attempting to re-impose Roman Catholicism in England. 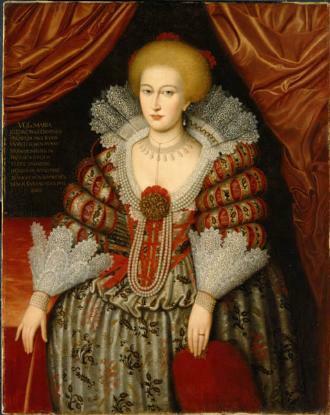 Although a more nuanced picture of Mary has since emerged, she is still surrounded by stereotypes, depicted as a tragic and lonely figure, personally and politically isolated after the annulment of her parents’ marriage and rescued from obscurity only through the good offices of Katherine Parr. Although Henry doted on Mary as a child and called her his “pearl of the world,” her determination to side with her mother over the annulment both hurt him as a father and damaged perceptions of him as a monarch commanding unhesitating obedience. However, once Mary had been pressured into compliance Henry reverted to being a loving father and Mary played an important role in court life. Mary Tudor was born on 18 February 1516 as the only surviving child of Catherine of Aragon and Henry VIII of England. She was the nominal Princess of Wales, heiress to the Kingdom until Henry fell in love with Anne Boleyn and Mary was made illegitimate. 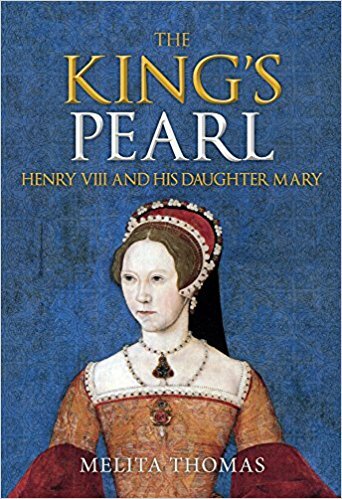 The King’s Pearl by Melita Thomas focusses on Mary’s childhood until the death of her father and the accession of her half-brother, King Edward VI. It’s an often overlooked period in her life, despite the fact that it made her who she was. This book is therefore essential to understanding what made Mary who she was and the Queen she became. The book is well-written, and the research is good. 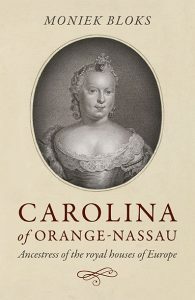 This is a must-read for those interested in the Tudor era, and it helps to understand this complicated Queen. The King’s Pearl by Melita Thomas is available now in the UK and is available for pre-order in the US.